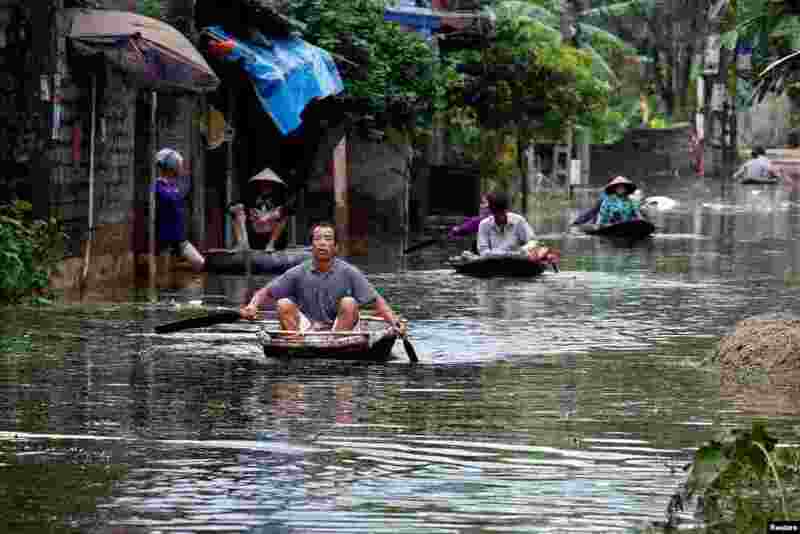 1 Residents paddle boats in a flooded village after heavy rain caused by a tropical depression, in Hanoi, Vietnam. 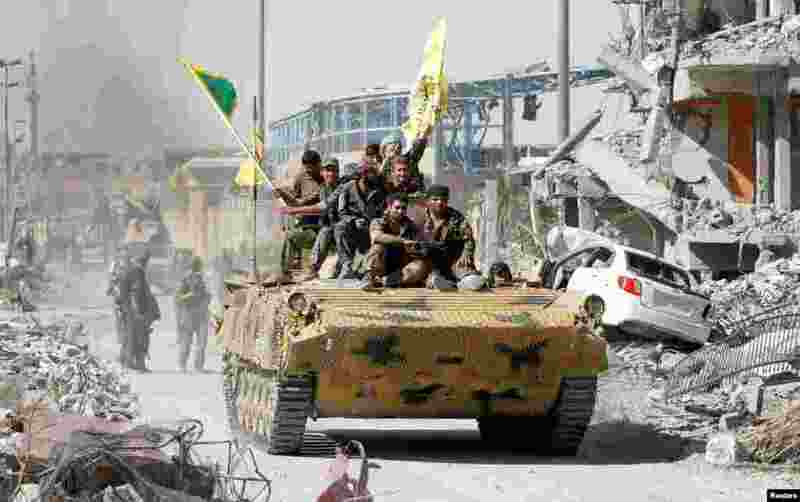 2 Syrian Democratic Forces (SDF) fighters ride atop a military vehicle in Raqqa as they celebrate victory and the liberation of Raqqa from Islamic State militants. 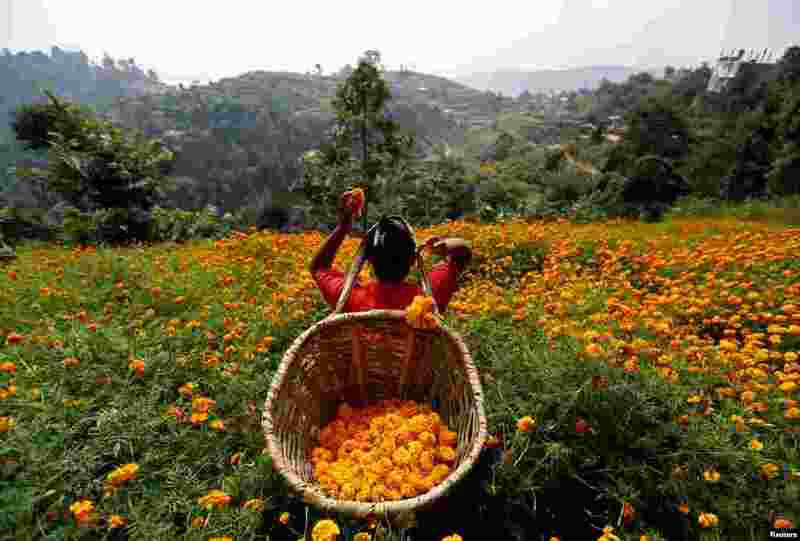 3 A woman picks marigold flowers to sell them to a market for the Tihar festival, also called Diwali, in Kathmandu, Nepal. 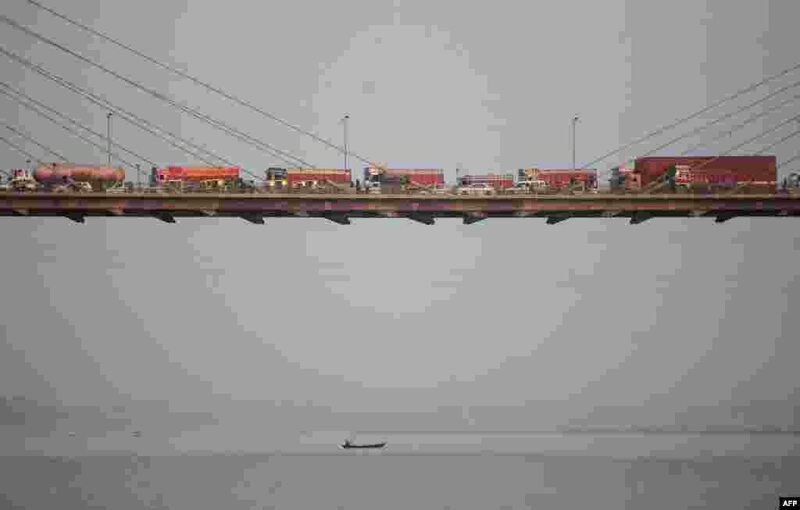 4 Vehicles are seen during a traffic jam at Yamuna Bridge in Allahabad, India.